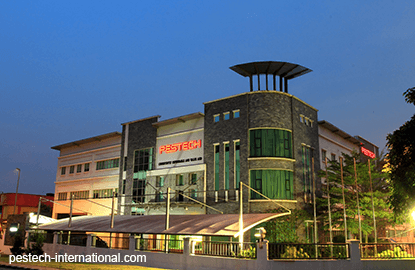 KUALA LUMPUR (May 18): Pestech International Bhd's wholly-owned subsidiary Pestech Technology Sdn Bhd (P-Tech) has inked a memorandum of understanding (MoU) with Permodalan Darul Ta'zim Sdn Bhd (PDT) for a strategic cooperation of power projects in Johor. In a filing with Bursa Malaysia today, Pestech said the parties intend to collaborate in projects related to the generation, transmission and distribution of electric power sector utilities, industrial, data centre, as well as oil and gas and petrochemicals specifically in Pengerang, Johor. "The parties intend to work together to fulfill the main objectives set out in the MoU, wherein P-Tech would subsequently submit for tender for the projects to the relevant vendors. "If P-Tech is awarded the projects where PDT and P-Tech worked together for, P-Tech would be legally bound to collaborate with PDT on those projects," it said. Under the terms of the MoU, the parties intend to enter into a formal agreement within a one-year period from the date of the MoU on May 10, 2016, which will set out the terms and conditions for the implementation of the projects. Pestech, which is in the business of industrial electric power contracting services, saw its shares close down one sen or 0.15% today to RM6.72, for a market capitalisation of RM1.26 billion.